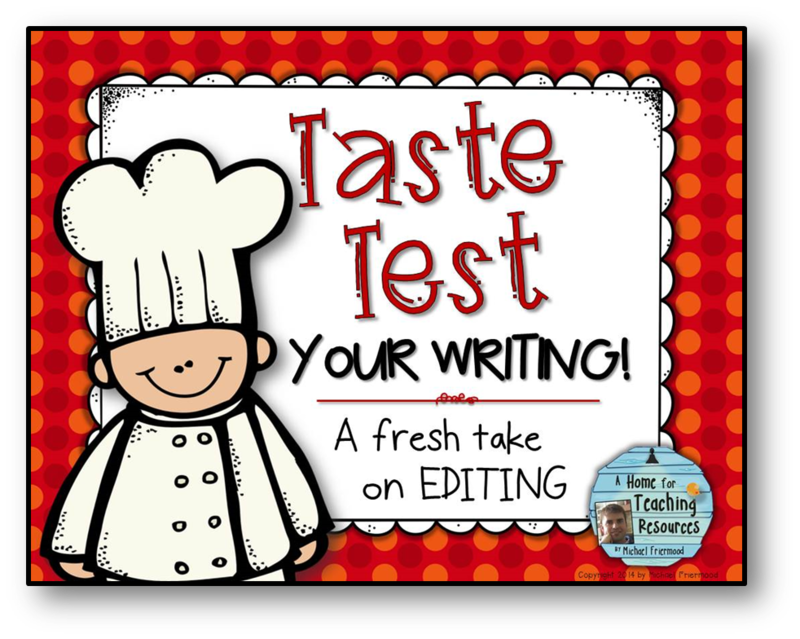 Taste Testing Your Writing: A Fresh Take on Editing! Have you ever watched one of those cooking competitions on television?... Chopped? Iron Chef? Cupcake Wars? Top Chef? Watching one of those shows gives you a glimpse of what happens "behind the scenes" of a real restaurant--with a bit more drama mixed in, of course. 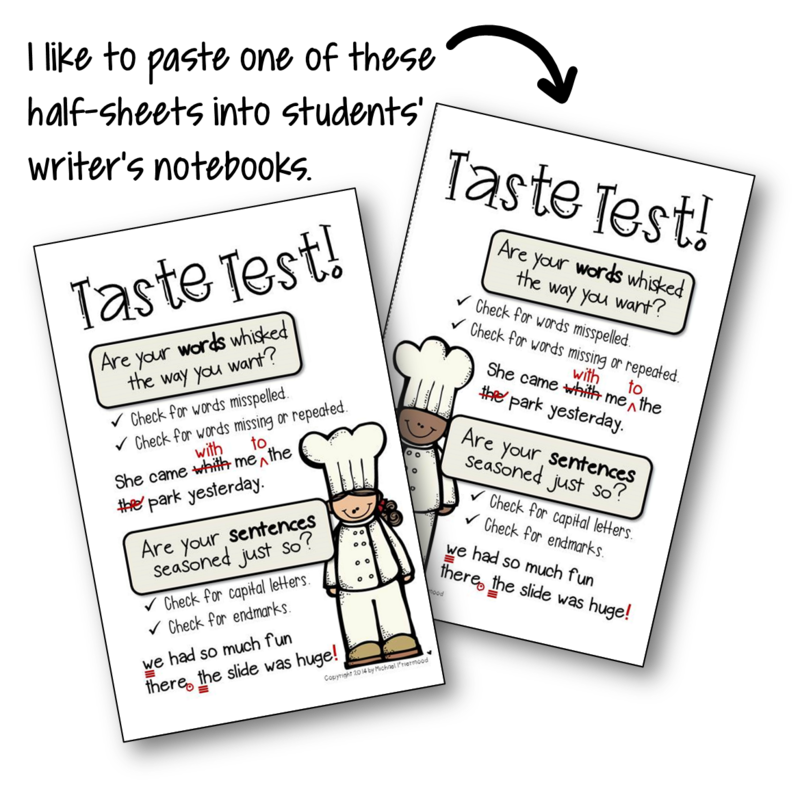 Particularly during prompt-writing on state-testing, where students normally do not write a final draft, editing is one of the last chances for students to touch their work--to make it just right before sending it on its way to their "customer." 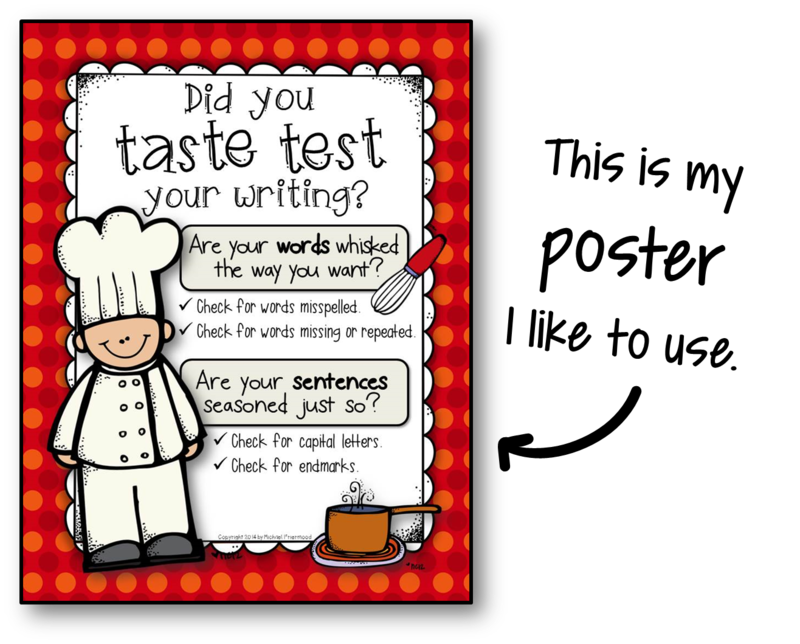 Try having your students taste test their writing. And if you want, click the image above for a free resource to help you get started!